Peacock is a sign of integrity and royalnes. 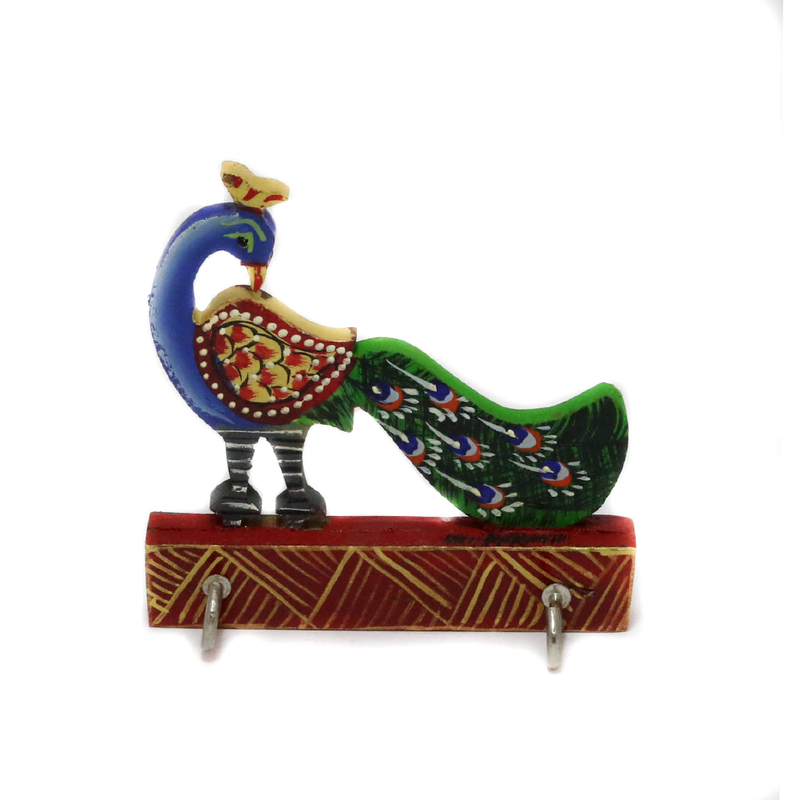 This peacock is made of wood and is studded with Meenakari designs making it look all the Read More..more elegant. The peacock is shown standing with its head turned around towards its beautiful train. The bright Colours add to the royalnes this showpiece displays. Show Less..